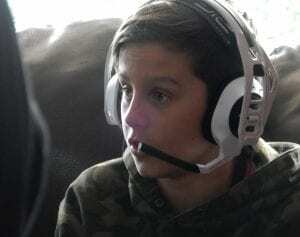 Fortnite has quickly become all consuming for many of our youngsters in 2018. They play for hours on end, discuss complex strategies at lunch tables, worship the ritualized character “dances”, will do whatever chores you ask for V bucks, they’ll even rush through their homework so they can join in on the next Battle Royal. What has this video game done to our children? One word: engagement! Fortnite is a 45 million user cooperative survival game which has three elements: scavenging, building and combat. This type of game is described as a ‘sandbox’ game, because gameplay is nonlinear and open-ended, allowing gamers to roam around the virtual world and interact with it and the other gamers that are online. The game design is a survival of the fittest – 100 online players glide into a virtual world and try to survive, by shooting, building and collaborating with each other until the last gamer is standing, winning nothing more than bragging rights. My burning question has always been… what makes this game such a phenomenon amongst our children? 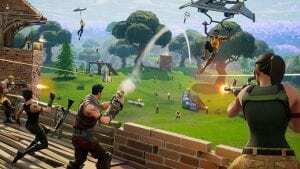 Can we use similar game mechanics in Fortnite to engage our students in class? 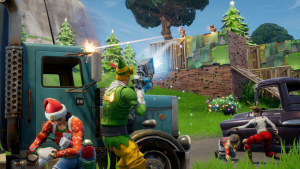 It is clear that kids who play Fortnite willingly engage in a complex and many-layered activity for long periods of time. A research group from Stanford pointed out that players are continually practicing “teamwork, collaboration, strategic thinking, spatial understanding and imagination—and when they lose, they’re highly motivated to try again for a better result.” Wouldn’t that be an amazing learner to have in our classrooms? How do I get one? Have a look at how Candy Crash uses similar design and mechanics as Fortnite to keep players engaged and playing for hours. Players experience a profound sense of belonging to the game’s community. Kids don’t talk on the phone to each other, they talk on the Fortnite platform. Also, because the virtual world is relatively small it forces encounters between players more rapidly, thus more action. The turn around between kills is super fast, so there is never much waiting. The immediacy keeps the engagement high, and makes for getting back up after failing painless. Fortnite is a gaming MASTERPIECE that belongs next to the Mona Lisa in the halls of history. Perhaps the biggest and most popular feature is the ability for players to collaborate and strategize with other gamers while playing in real time. It is not uncommon to hear players helping and supporting each other during a game, saying things like, “watch out, he’s right under you,” or “I have a great shot gun for you, come see me, you can have it” even “You lure him this way and I’ll wait inside the barn – you get him from the outside and I’ll attack him from the inside.” This collaboration is not limited to the game itself, players share Youtube videos, study game-play tactics, discuss strategies, create user materials all to make the playing community better. Leveraging game mechanics in your classroom is an effective way to get more engagement in your class. 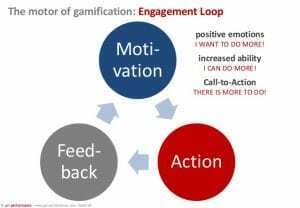 If students are engaged they will be more likely to realize learning is an ongoing event in the real world and the virtual Fortnite world to boot. Excellent blog! Well said and spot on correct. I sometimes question if we risk ruining the games by trying to schoolify them… so I like how you focus on bringing the principles in to our classrooms. One of our awesome teachers at the ETSB, Shanna Loach, taught us how she uses gamification principles to make learning more accessible and relevant for her students. She teaches multi levels and the tools she created with these principles help her to manage the different levels, too.